Fallout is set in a post-apocalyptic alternate future diverging from history after WW2, with scientific progress continuing through nuclear technological advancements. The government, concerned about the risks inherent in nuclear power, orders a number of Vaults created to help humanity survive, though many are designed as cruel and unethical social experiments, as well. Following a devastating nuclear exchange, various characters emerge from the Vaults to begin the action of the video games. An acclaimed series, Fallout has multiple installations with unforgettable protagonists like the Vault Dweller, the Chosen One, the Lone Wanderer, the Courier, and the Sole Survivor. Fans of this role-playing game can now show off their enjoyment of the whole Fallout series with the licensed Fallout merchandise we have to offer. Our Fallout collectibles and gamer gear like Fallout t-shirts and POP figures make excellent gifts, as well! Check back regularly to see our latest additions. Everyones favorite dog companion makes a reappearance in the fifth main installment of the Fallout series. 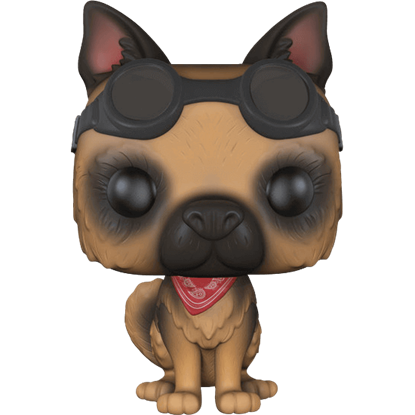 The Fallout 4 Dogmeat POP Figure takes the form of a German Shepherd who can perform tasks and help the player fight. 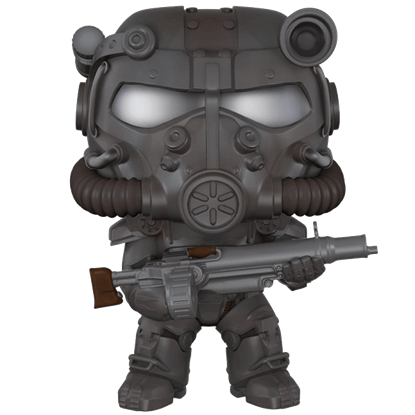 Modeled after a U.S. Army Robot, minus 39.6 feet, the Fallout 4 Liberty Prime 6 Inch POP Figure is a great way to celebrate the post-apocalyptic video game. 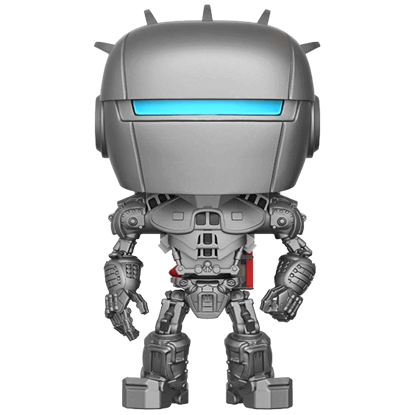 While not made for combat, this tiny robot is an asset to your collection. Modeled after the Brotherhood of Steel soldier, who unknowingly was a Synth, the Fallout 4 Paladin Danse POP Figure belongs in the hands of a Sole Survivor. Complete the next post-war mission with this adorable miniature as companion. Designed to replace the T-51b armor, the T-60 power armor was released to units of the U.S. Army prior to the Great War. 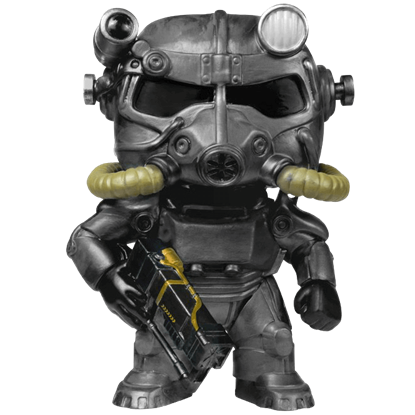 The Fallout 4 T-60 Power Armor POP Figure shows off the design of the large, bulky power armor from the game. One of the organizations remaining in the post-apocalyptic world of the Fallout games, the Brotherhood of Steel aims to eradicate mutants. 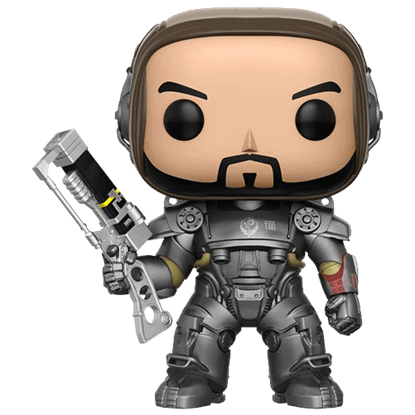 The Fallout Brotherhood of Steel POP Figure displays one of their Paladin soldiers. Transformed after coming into contact with the Forced Evolutionary Virus, Super mutants gain a number of benefits in addition to their newly altered appearance. 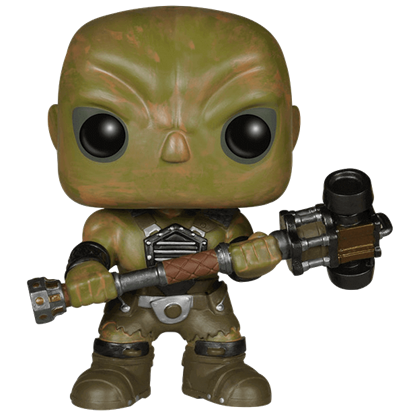 The Fallout Super Mutant POP Figure shows one of these beings. The cheerful mascot of the secretive corporation contracted to produce bomb shelters by the government, Vault Boy appears throughout the Fallout games. 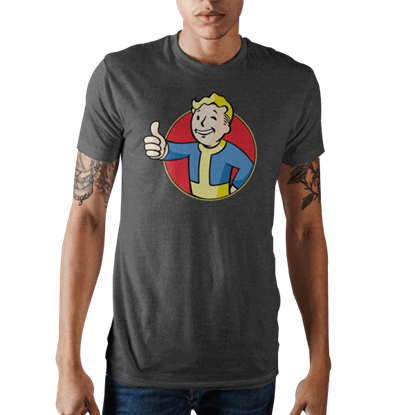 The Fallout Vault Boy Mens T-Shirt shows off an image of the grinning character. 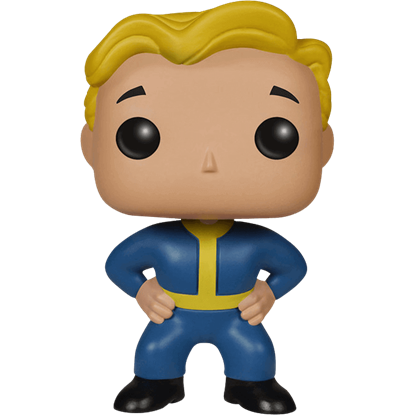 Contracted to design and manufacture bomb shelter vaults by the U.S. government, Vault-Tec advertises and decorates their products with a cheerful-looking mascot character, reproduced here in the Fallout Vault Boy POP Figure.